Google is serious about its Pixel flagships, and what better way to let everyone know than hiring the key chip architect away from one of your biggest competitors? Google is doing exactly that with the recent hiring of now ex-Apple employee, Manu Gulati, as reported by Variety.com. Mr. Manu Gulati is known for spearheading Apple’s own chip developments for as many as eight years now. Manu started working at Apple in 2009 (with prior experience of 15 years working at AMD and Broadcom) and was instrumental to Apple’s efforts to build custom chips for use in the iPad, the iPhone and Apple TV. Apple’s first A4 chip featured in the iPad in 2010, and from then, Apple never looked back. Using custom-designed chips for its limited portfolio of devices meant that Apple could work very closely throughout the R&D process, allowing the company to optimize the processor for performance and energy consumption within the limited parameters of existing iOS devices. The portfolio of devices running Android is beyond imagination, and hardware differences are present everywhere. Most Android OEMs rely on using SoCs made by a few key players in the market, namely Qualcomm, MediaTek and Samsung. It is impractical to expect these chip makers to optimize their SoCs to work in perfect conjunction with the hardware choices available to the OEMs — they can get close and certainly do take some popular industry trends into consideration, but the issue persists. Google has bigger plans though. Up until the launch of the Pixel flagships, Google stayed at arm’s length when it came to Android hardware. The Nexus devices were meant to showcase the software possibilities of the Android ecosystem, and were meant to be reference devices for developers to work on and create for the newest Android version as soon as it released. The landscape changed with the launch of the Google Pixel and Google Pixel XL as Google now wanted to take greater control of hardware. The Pixel and Pixel XL are rightfully called Google’s answer to the Apple iPhone, coupling great software with great hardware. The Pixel devices may not be the best performing devices in the Android world in every metric, but they stood their ground against the competition of their time. Google hiring Apple’s veteran chip architect away from the company indicates their gameplan for the future and the future of the Pixel lineup. Manu Gulati now works as Google’s Lead SoC Architect, reportedly working towards Google’s goal of building its own chips for future Pixel devices. Google is also looking to hire additional chip experts in the form of a “Mobile SoC CPU Architect” and a “Mobile SoC Architect”, who will “help define the architecture of future generations of phone and tablet” chips. Losing Manu to Google is reported as a big blow to Apple as Manu Gulati is listed as the co-inventor of as many as 15 chip-related patents. Variety.com reports that some of these patent filings describe fundamental chip architecture, while others are specific to certain applications. An example given is for his patent that describes hardware-based security for Apple Pay that securely stores a user’s fingerprint on the iPhone. Google’s desire to closely control the chip on its Pixels also makes sense when you consider Google’s recent focus areas of machine learning, image recognition and natural language processing as well as the overall industry-wide push towards Virtual Reality and Augmented Reality. All of these use cases would greatly benefit from hardware that is synergized and designed from the ground up to provide the best performance for these use cases and the company’s vision. Google would need to closely control the design of chips in order to integrate machine-learning optimized signal processors directly into a phone’s main chip. And from the looks of things, the Pixels will be more tightly controlled and integrated than ever. 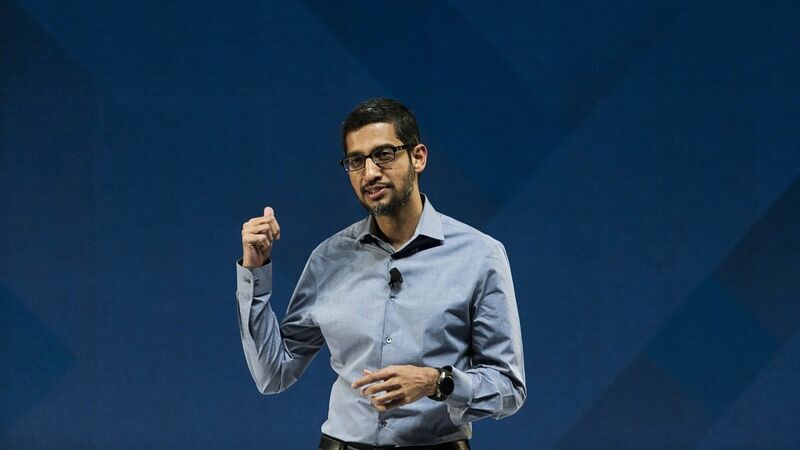 What are your thoughts on Google’s recent hiring of Manu Gulati from Apple? Let us know in the comments below!